Manufactured in Grande-Bretagne from 1960 until 0. Agima is a curious telemetric camera whose general aspect makes think of a German camera. It is with interchangeable lens and the viewfinder proposes frames for the 35, the 45 and the 90 mm. 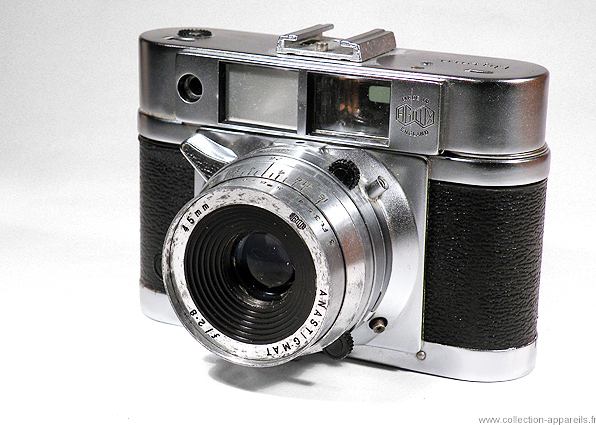 One of its features makes it original; the lever located on the side of the lens is used as shutter release, but also to advance film.